4AD electronica dude SOHN set for Liverpool debut show at the Kazimier this Autumn. SOHN will be bringing his hauntingly evocative electronica to the Kazimier on Thursday September 18. 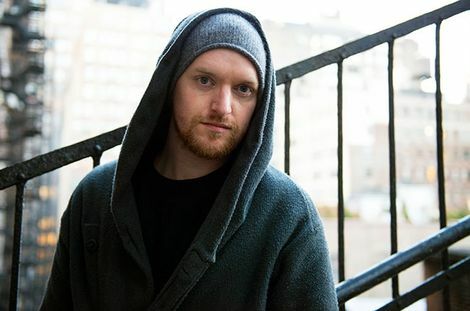 SOHN, aka Christopher Taylor, released his critically-acclaimed debut album Tremors back in April via 4AD and will make his first Liverpool live performance this Autumn as part of a five date tour. The producer, based in Vienna, Austria, marries stripped back soulful balladry with a quite stunning vocal and textured electronica and has just dropped new track The Chase ahead of his UK tour. Moving doesn’t come close, this show is one definitively not to miss. Getintothis reviews Real Estate, Outfit: The Deaf Institute, Manchester. Liverpool bands line up for Brazil World Cup 2014. Forest Swords: From Norse sacrifices to Smooth FM and making the follow up to Engravings. Twilight Sad to play cult debut album in full in Liverpool. LIMF 2014: By The Sea, Baltic Fleet & more set for Getintothis & Bido Lito! stage in Sefton Park. LightNight Liverpool 2014: Cathedral, Black-E, FACT, St Luke’s Church – picture gallery.